Upon your vehicle pickup or delivery, you get the Quality Collision Excellence Guaranteed Warranty. It assures your collision service in which you and Quality Collision hold an agreement based on your collision, auto body and paint repair as long as the vehicle is under your ownership. Our guarantee includes metal work, painting, stripes and decals, mechanical repairs, and parts. Upon your vehicle leaving our shop you will find peace-of-mind with the work performed. 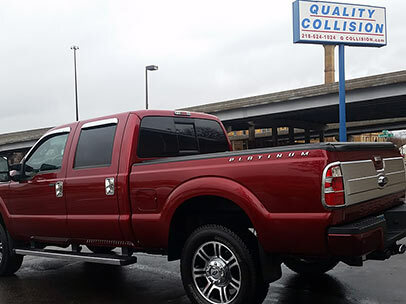 At Quality Collision, We Guarantee Our Work!